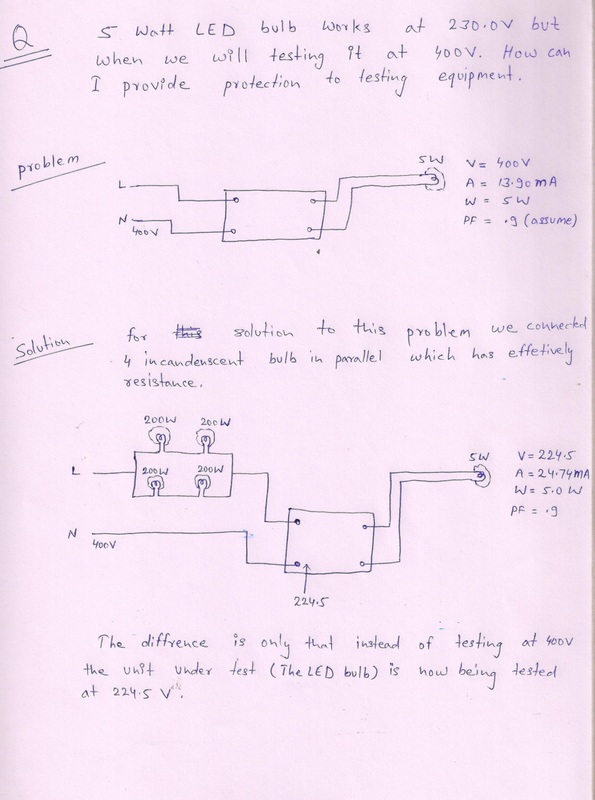 When a large number of drivers / LED bulbs are tested, some could be shorted from inside. This can damage the electronics testing equipment. 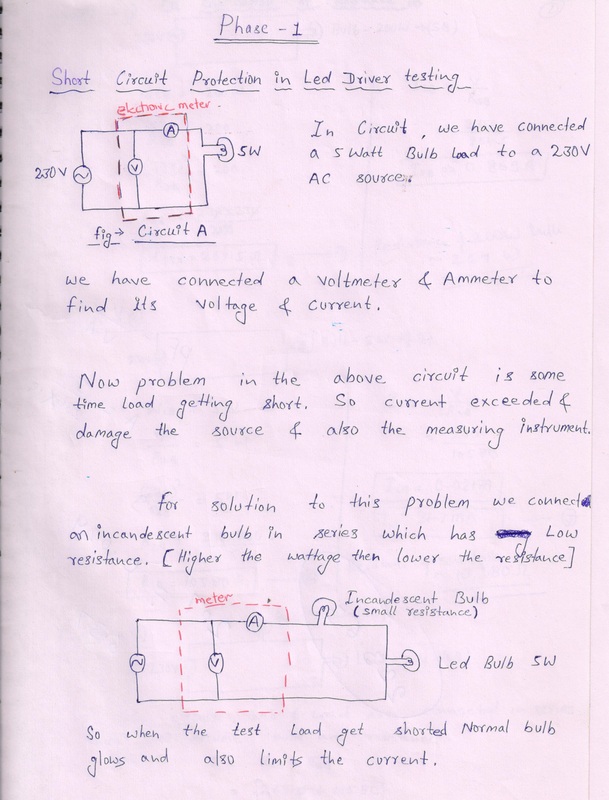 The below illustration explains how to provide short circuit protection. 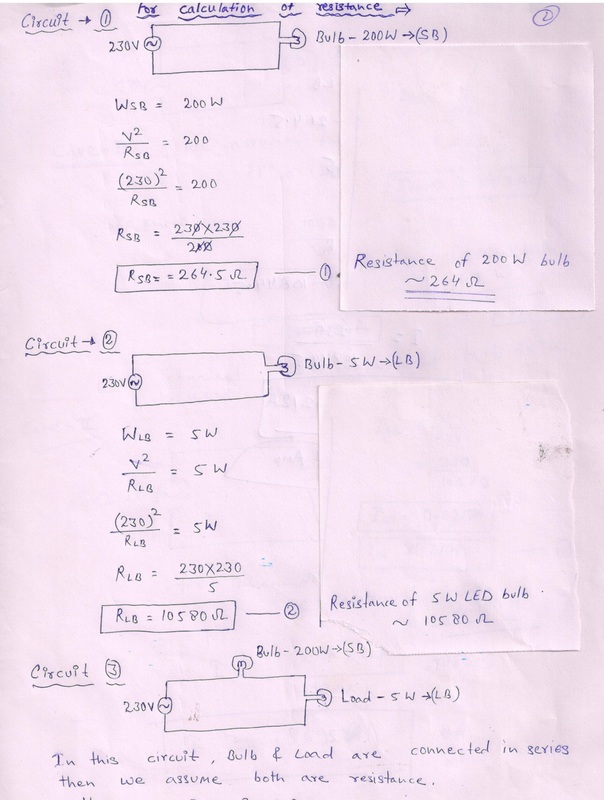 Image 1: Connection diagram of 5 Watt led bulb with testing equipment. (using the black power cord). 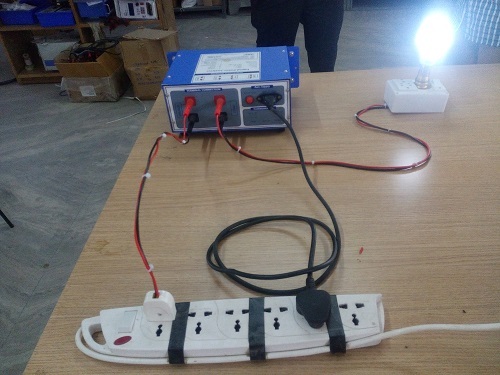 Also, the Red/Black wire is used as input power for the LED bulb. 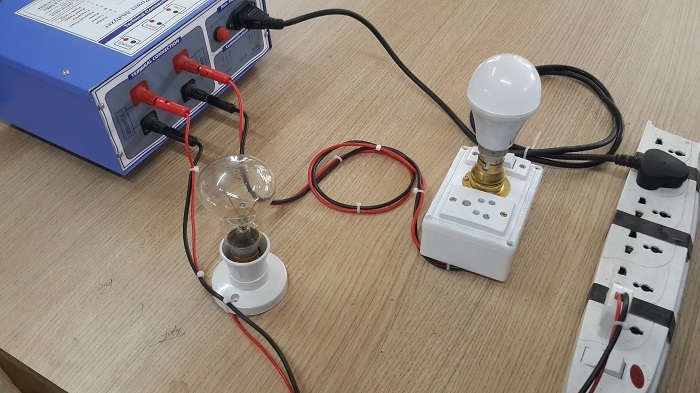 Image 2: Connection diagram of incandesent bulb with testing equipment. 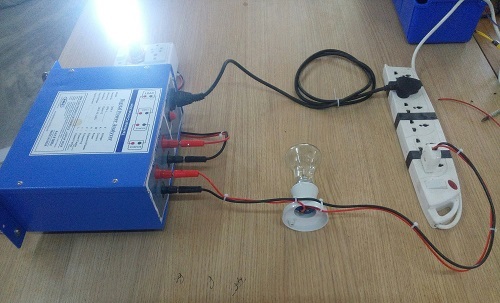 We have provided short circuit protection by connecting incandesent bulb (100 W) in series, which has low resistance. Image 4: Just see that we have shorted the load by wire. What happens? 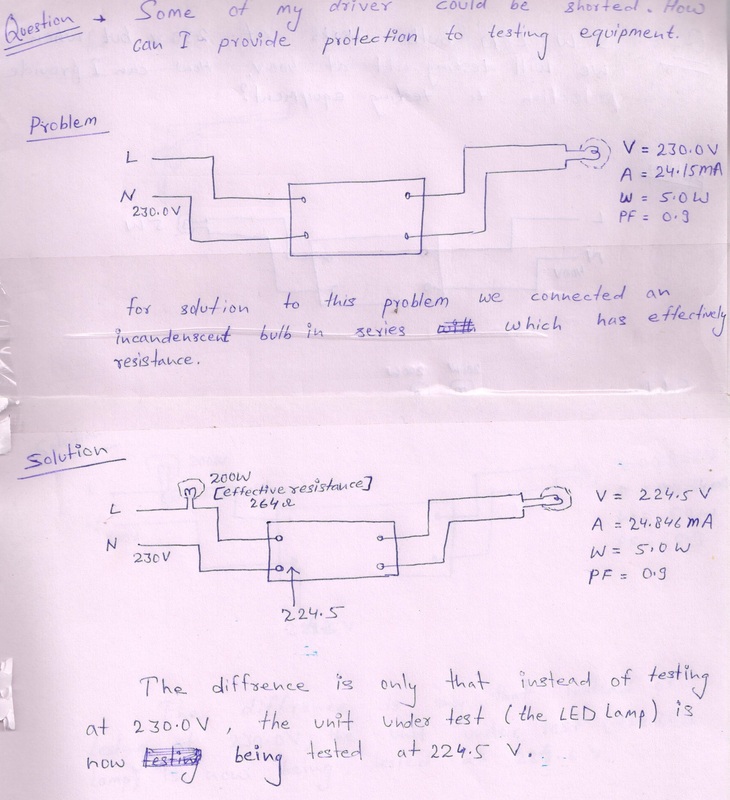 GOING INTO MORE TECHNICAL DETAILS……………..
example of short circuit protection for 5 watt led bulb connected to 230 voltage. 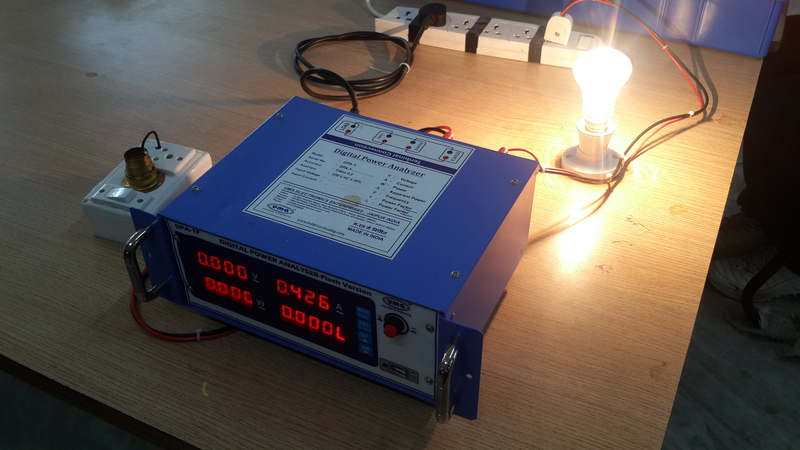 5 watt led bulb testing at 400 voltage.for this problem we provide a circuit diagram in above page.